Hey ladies! Now that you have your prince charming, you need your girls. Here are some fun and fabulous ways to propose to your future bridesmaids! 1. Jewelry: Cute personalized cards to attach to beautiful jewelry that your girls will love. You can also purchase a special meaning Alex and Ani or a personalized bangle. Accessories are key and can also be worn on the wedding day! 2. Sweets: Admit it. You and your girls have shared sweets while watching your favorite RomCom, and what better way would it be to propose with a bouquet of Hershey Kisses? You can get personalized cookies or macaroons. You could even bake a cookie cake and “pop the question” with decorative icing. 3. DIY Coffee Mug: If you and your bff can’t survive the day without your cup of coffee, you can purchase personalized matching coffee mugs. It’ll be handy to have for the wedding and planning days ahead! 4. Pictures: You and your girls have been stuck like glue since the beginning of time, which means you have tons of pictures to commemorate those special moments. If you have a craftier side, customizing a picture frame or putting together a scrap book is a fun way to ask. Anything personalized will be meaningul and something they can always look back and remember! 5. 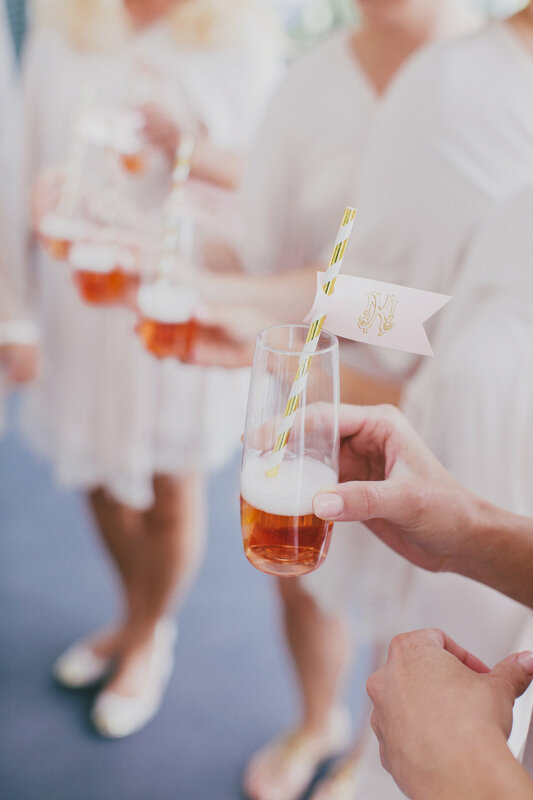 Champagne: Champagne is our absolute favorite here at Pure Luxe Bride, so we absolutely love the idea of proposing with a bottle of champagne or wine. You could get a personalized label to put on the bottle or even a customized champagne flute! We hope some of these ideas help you plan out the ultimate proposal for your girls! Don’t forget to be sentimental, creative, and most importantly, have fun!